Electrical Experimenter - June 1915 - Downloadable PDF file. 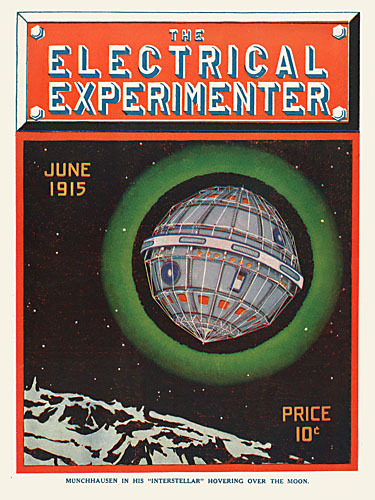 This is a downloadable PDF file of Electrical Experimenter - May 1915 - the second appearance of science fiction character Baron Munchausen created by Hugo Gernsback. One of the first if not the first, magazine spaceship covers. Every page from cover to cover is included in it's original printed form. A great item for scifi research and the collector who hates to handle his valuable original magazines.